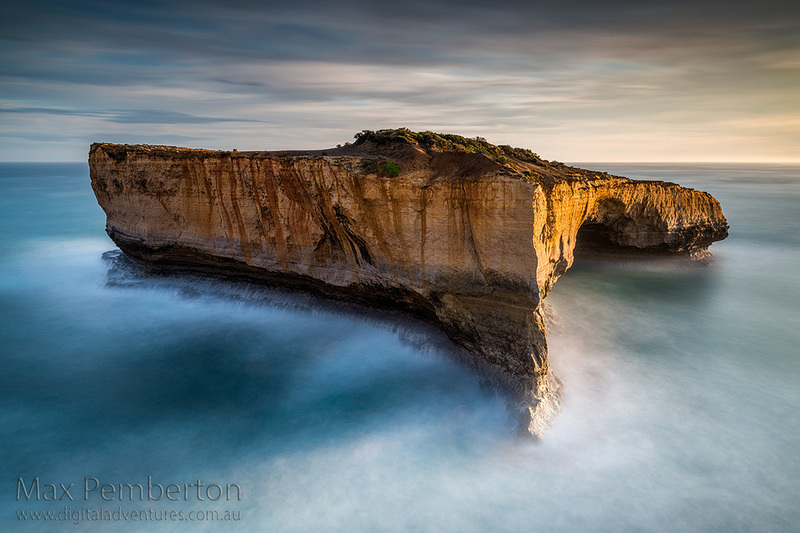 A great spot on the Great Ocean Road. This spot is located close to the London Bridge lookout on top of a cliff. The image was taken about 10 minutes prior to sunset over a three minute period which resulted in the misty smooth water. When I went to get this shot I found myself next to two fisherman who where fishing for Taylor at the base of the 15m cliff It was amazing watching them catch fish and haul them up to my vantage point. They where locals to the area and fish here regularly, A spectacular region in which to live.